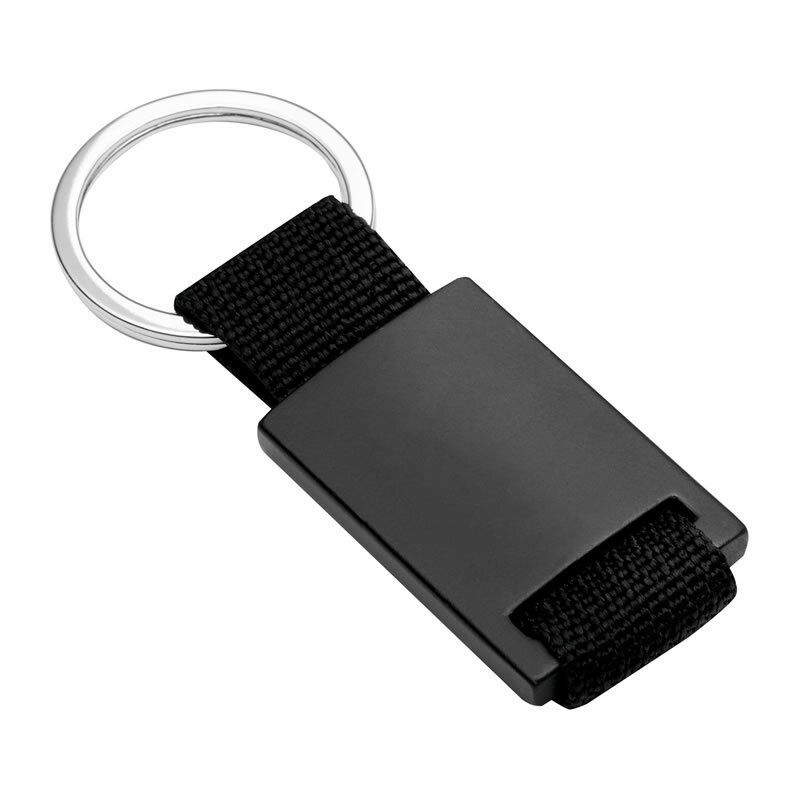 Minimum Order: 10 units - These promotional keyrings require a minimum order of 10 units. These promotional keyfobs have a sturdy yet lightweight aluminum fob in black finish with a black polyester strap. They are ideal to brand with laser engraving onto the fob and are offered here with free text and logo engraving.